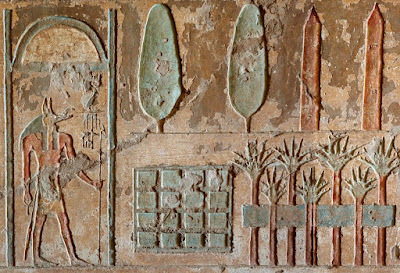 Ancient Egyptian texts describe "funerary gardens" that were planted outside tombs, holding plants considered symbolic of death and the afterlife. 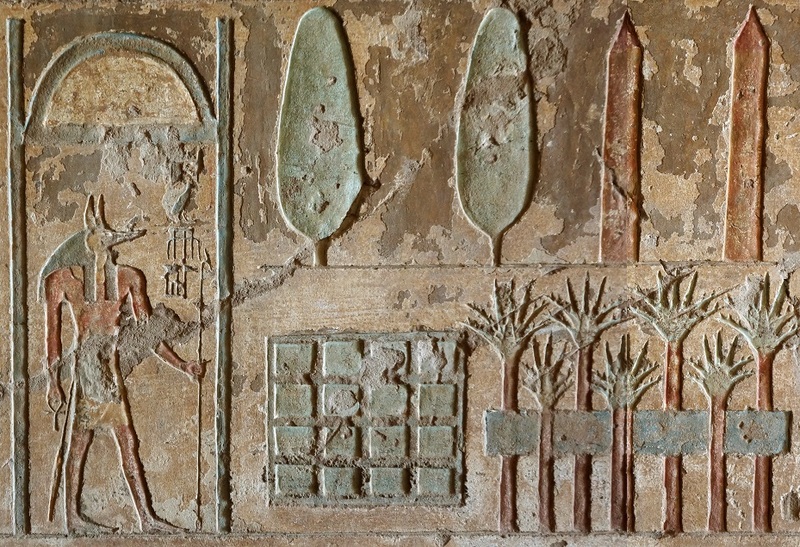 There are even paintings and reliefs of these gardens on tomb and temple walls, like the one above. 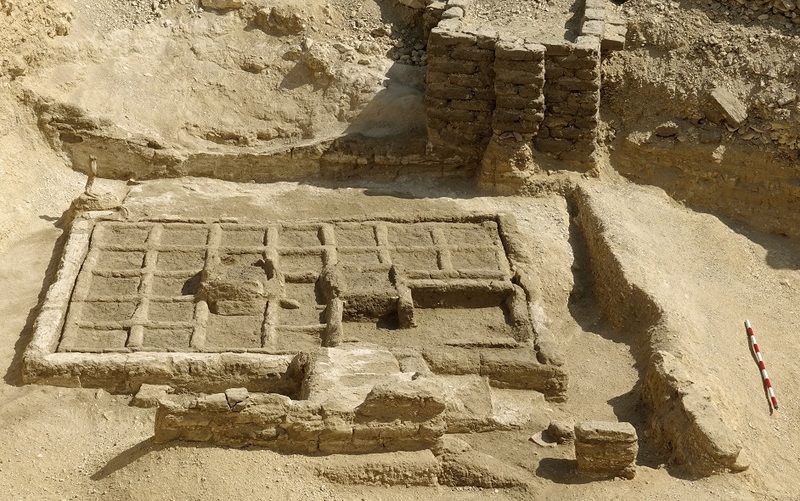 Now Spanish archaeologists working in Luxor have uncovered one of these gardens. It measures about 2 by 3 meters (6.5x10 feet), and was placed in the courtyard of a rock-cut tomb. 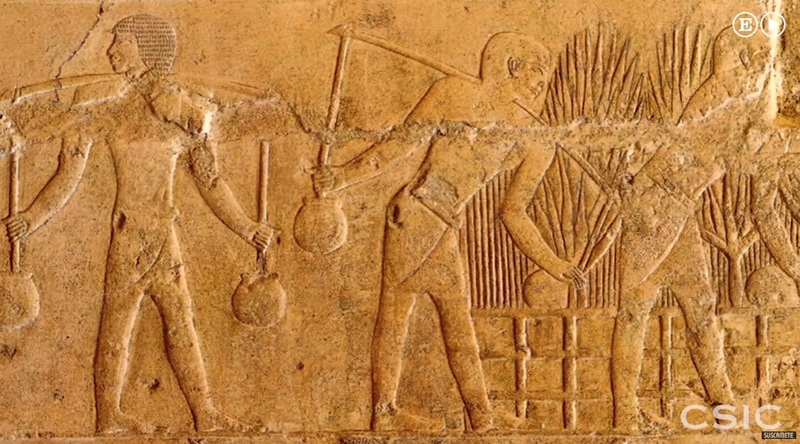 It dates to around 2000 BCE. Each grid square probably held a different plant; the two raised plants in the center probably held shrubs or small trees. The stump of one of these actually survived, a tamarind. 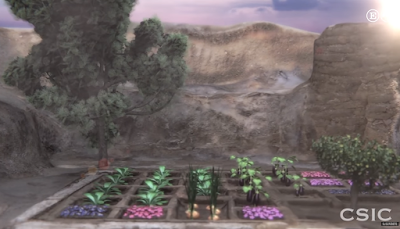 Digital reconstruction of the garden from the project's Spanish-language video. Yet another way the ancient Egyptians managed to obsess about death and the tomb. What could explain the lavishing of such extraordinary resources on the dead? 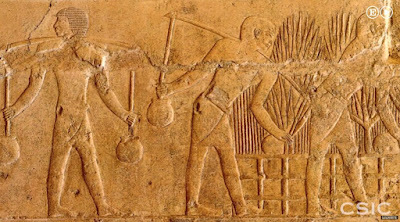 Once the tradition got started it would become the thing you had to do to uphold the honor of your family, establish the legitimacy of your dynasty, etc. ; but how did it start, and why did it endure for so long? More at The History Blog.